They are under the couch cushions, under the seams, on your bed and even on the curtains. What are they? These are bed bugs, notoriously annoying pests that can make something as natural as getting a good night’s sleep impossible. That is, unless they spread and cause an infestation. Not all motels or inns ensure that each room is pest free. They might decide to put rat traps to catch rodents, but most establishments do not look out for bedbugs, until it’s too late. This is probably because the bugs are so hard to spot. 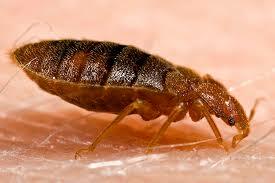 If a traveler finds a bedbug in their hotel room, that’s absolutely a recipe for disaster. The pests can latch onto your coat in the motel room you decide to stay in during your travels and get a free ticket to your home. Of course, you can never tell whether the room you stay in is bug-free. What you can do to ensure that a bedbug never latches onto you is to keep all of your belongings in plastic trash bags. Bedbugs cannot crawl on smooth surfaces like glass or plastic. Since glass jars are not convenient for travel, trash bags are your best bet against the bugs. If you suspect that the room in which you are staying is infected, keep your luggage away from the bed. If you suspect that the carpet in your bedroom is infected as well, you can always store your luggage in the bathtub. Just make sure that the pipes don’t leak. You do not want to deal with soggy underwear along with a possible bedbug invasion. Make sure that you keep your luggage or any other belongings off the floor of the motel. This also goes for the taxi or bus that you traveled in to get to the motel in the first place. If you wake up scratching, go back to the reception area and ask for another room, especially if you don’t have a habit of carrying trash bags or keeping your belongings in sealed plastic bags. The pests can spread by hitching a ride on a passing housekeeping trolley or a guest. They can even hide in wall sockets. If you are going to request a different room, make sure that it isn’t the one opposite to the room that you are vacating. Ask for a room that takes you as far away from the infestation as possible.Remember to keep your luggage away from the bed in the next room as well. One or more of the pests might have latched onto it from the previous room and you do not want to spread the infestation to another room. telling when one of the pest might have seen its chance and crawled onto your suitcase when you put it down to open the door. Therefore, it’s best that you vacuum your bags before you bring them inside any of your rooms or unpack. Throw your clothes into the washer and dryer – Yes, these should also include clothing that you didn’t get the chance to wear. Just because your shirt looks clean as a whistle doesn’t mean that it won’t be hiding a bedbug or two under the collar. The pest cannot survive in temperatures that are above 120 degrees. In this way, you will prevent the pests from spreading to any other clothing in your closet. Keep any clothes that need to be dry cleaned in a plastic bag – You can’t toss your dress pants into the washer if they are supposed to be dry-cleaned. Instead, pack them inside a sealed plastic bag and take them to the dry cleaners. If you have a habit of carrying bug sprays with you, it’s best that you stop now. Not only might the fumes disturb other patrons in the motel, but your pest control efforts are bound to be ineffective against a whole colony of bedbugs. It’s best that you casually inform management about your horrible experience and ask them to hire a pest control service if they expect you to come back. If you are a repeat customer, there is no reason why the motel won’t accommodate your wishes. It takes vigilance to ensure that a bedbug never gets the chance to hitch a ride or bother you at all during your stay. It doesn’t matter whether you travel for business or leisure. Nothing ruins a trip like bedbugs that prevent you from getting a good night’s rest, especially the day before an important business meeting or a sightseeing trip. Now that you know how to prevent the pests from crawling on your person before you vacate your room, you don’t have to worry about them following you home either.